Click On An Image To View Full Size! Aleph is one of the Space Commanders within the Brotherhood of light. "Working towards raising the consciousness of humanity and uplifting the vibrations of Planet Earth!" " Love all of Mankind. Send the Word forth about Love and its Dignity of Love. Send the word forth about Prayer that Mary has said at Fatima. That it is coming about now in its time. It is a beginning. Prayer is the most important thing in Creation at this Period of Time. What more may I say? Let Man's Truth rise from within him, to find the Greater Aspect of the God Consciousness. Everything shall be renewed. The Hope for Mankind is PRAYER. Pray, Love one another and be Peaceful! That is the greatest message of all! Speak it! Peace be unto you! I AM Ashlem." 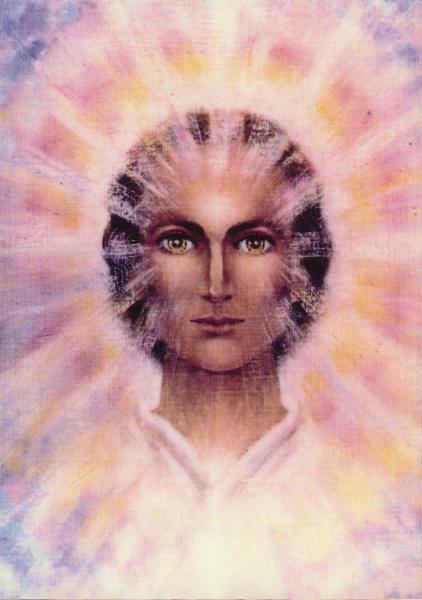 “I serve at the great control board of the Mother Ship of the Ashtar Command. Reverse your attitudes of life. You are the master of your fate and the only one who can determine the action that will be taken when we come. Are you ready for the coming of the Guardians? So silently the trumpet blows. It is the whisper of Love awakening your quiet confidence that He will draw souls unto Himself, through thee. As His Spirit moved upon the waters, so will He move upon souls for thee. Bear your banner of service in dignity with a glory that is only visible to us, but felt by the world. Have faith! It is your Father’s good will to give you His Kingdom!” I have spoken in His Name and by His Command, to quicken the spirit and encourage the soul. Walk His Pathway, fight His fight of Faith, and watch for the Dawn of His Day which draweth nigh. 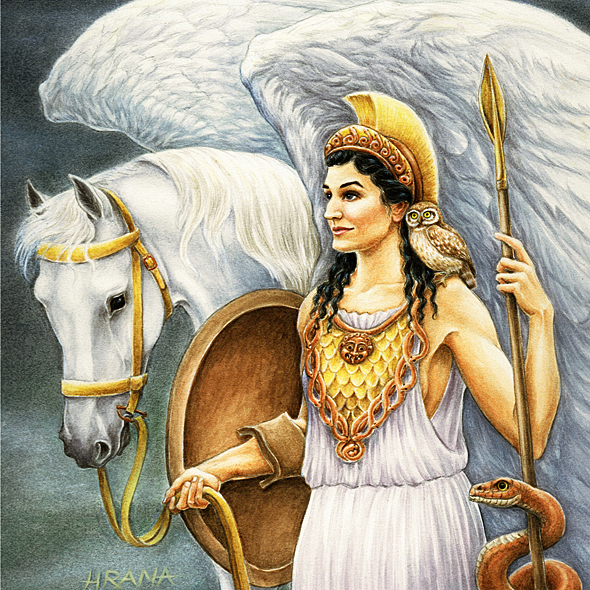 I AM Athena, the Watching Angel and I Am of the Starship of Sananda." Spaceship inventor, mechanic and pilot, will help earth build space craft. From the Planet Clarion, a high expression of The Love Principle, here to aid Earth during it's changeover. "I AM living in the octave of Light which enables me to penetrate Light into every section of the planet. I ask that all of you send your Light to us, that we may magnify it and use it. I am needed in your world today to spread the Light, especially to the ones who were my students when I was "The Buddah". These ones will receive new Truths and accept them. I feel there is so much need of Love in the world today. I send to all of you the Gift of The Highest Vibration of Light. Develop it, use it, and let it shine and let it flow forth now. In this, you are performing 'the work of The Father'. My Love to you. 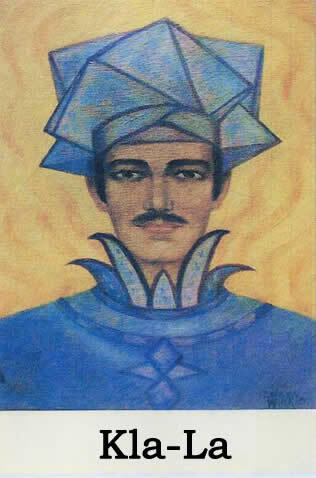 In the Light of The Ascension Flame, I AM: Lord Guatama"
"Prepare your souls. Grow into Light. Expand your Love and beam a field of love around the planet; for this circle of Love around your globe can be termed as our 'landing field' for your salvation. Such a glow of Love and Light will arise from the lower planes so intensely, that we will be able to gear down our own presence, and come into a position of the blending of our frequencies and bring a mass evacuation to pass with a minimum of difficulty and disturbance to all. Planet Earth must enter its period of cleansing. There must be an Absence of All Fear to be lifted." Hatonn - Of the Ashtar Command, Keeper of The Records for the Galaxy. The Records are kept on a planet bearing his name. Has the Records of Earth’s turmoil throughout its history. Hatonn asks why Man of Earth cannot reconcile their differences in a peaceful way? “I am Helios, the God of your physical Sun and I come from The Great Central Sun. My task is the stewardship over your physical Sun. You are going thru changes and many chaotic upheavals of circumstance. Nature on the rampage is just one of the most outstanding changes all over the world. This is all in a designed plan and it must take place for you and the Earth planet to evolve. I bring you Hope and Courage. I am sending you a very Healing Light Ray. It is the Moon Ray! Beloved Jesus The Christ is in charge of this new Moon Light Ray. “I am a messenger from The Alliance of Galaxies of outer space. I represent the combination of all the energies beaming upon the Planet Earth, at its time of Ascension into a New World Order. Millions upon millions of space craft now encircle your planet, in orbit within your own magnetic forcefield. Some monitor your evolvement, others continually measure scientific expression and application of new revelations. Wave-lengths, communications, circled your globe, pass through our own systems remotely controlled by what you call Mother Ships. Other forms of craft are on constant missions of manning the fault lines and volcanic areas. Any changes noted bring an instant alert. Thousands of lesser craft are designed to be at instant availability for our earth representatives on your planet. All space craft from your own Solar System and far off Universes are coordinated through Commander Hatonn and The Ashtar Command. Coordinated patrols have been heavily concentrated in the past decade, in cleansing the atmospheres of the nefarious influences and those who oppose the Program of Light. This action is now in a closing phase, clearing the advent of interplanetary relations and exchange. We do not intrude into any karma, but where the Great Law is satisfied, we can and we will intervene in nuclear hostilities. The chaos of disorder of the atomic structure of all creation shall be magnetized into order once again, and new life will begin on a level in harmony with Universal Brotherhood. Ancient record keeper and scribe for Earth, interpreter of ancient tablets and scrolls. Personification of Love from the Teton Retreat. "I AM Maitreya. I AM the Voice of The Great Cosmic Government. I bring the blessing of The Most High and The Heavenly Host. The Heavens sing together for Joy in anticipation of the exalted Day when Earth Kingdom of God shall dwell in Harmony and Peace in its New Order of the Divine Plan. The Orbit of Destiny for planet Earth has been foreordained since time began. With the ending of the old and the beginning of the new, the the entrance upon these pathways of destiny is written in the books of Heaven and they must come to pass. No more shall the Earth groan from within itself. It shall once again be a place of beauty and love and all upon it shall live for the Glory of The Most High. Under Universal Law, all negative manifestation precipitated upon the Earth by the will of man, must defer to Divine Cleansing action. The Fiat of Light has been released, and that Day must come! I AM: Maitreya"
Space Captain of a fleet of ships, from the Planet Alcorn monitoring Earth. "We have been preventing Earth from flipping on its axis. Should it flip, all wars would end, the whole Earth would be washed, and the Purification would begin. Should that happen, within an hour at the most, we would pick up those who are to be saved. There are almost 13 million space ships close to your Earth that you cannot see. We can shift closer to your third Dimension so we can pick up all of you beloved, precious ones in your physical bodies and keep you until it is time to populate the New Earth in the New Age, where you will have one thousand years of ‘Heaven on Earth. Have no fear and do not let anything IN to disturb you. Without fear you are protected by the Light. Long before your recorded history, a beautiful Planet blew itself up, causing reverberations throughout the Cosmos creating unbalance in many universes. Divine Law and the Intergalactic Pact will not permit this to happen again. We are One with you. I AM Monka of the Tribunal Council." 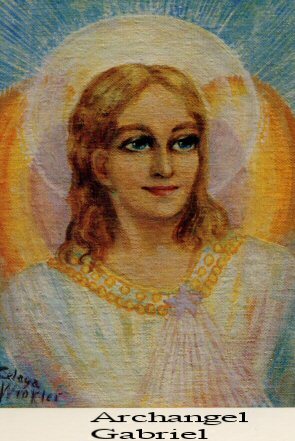 Mighty Seraphim from the Great Central Sun, Chohan of the fourth ray (white), guardian of the Ascension Flame. "Your Space friends are here at the request of the Most High Interplanetary Hierarchy, and the Great Cosmic Government. We have come in voluntary action to serve you, the people of Earth, in your time of great distress. These are crucial times. We are always with you." Space Detective, Keeper of Cosmic Law, Universal Traveler. "If all of the world could come together to pray for Peace, and pray for the Goodness of Love of the Father, it may release its Energy to a Greater Force and then Peace will be had. But too many out of consternation of their being prevent themselves from doing this.. Then weep a tear for the children. It is time to bow thy heads in prayer and Grace, and pray, pray for they and give them forgiveness, for they know not what they do at this Time. Sadness abounds in many countries on the Earth Plane and the Spirit rises forth with the Blood of Man. Unto all who stand forth and hear this, I say to thee all...It is time now to bow your heads. Most people of Earth are of the assumption that Space Ships and Space People are coming to ‘invade and capture’ the people of Earth. Dear ones, if this were so, they would have done this millions of years ago. Humans call Our Benevolent Benefactors of Earth, ‘monsters from other Planets coming to capture us.’ This is what the media and certain other factions portray as ‘fear factors’. Why would anyone want to live in fear and believe these things? All it does is render your emotions to an unstable existence. That is not what Life is all about. We of Earth are here to experience Life and Love in Peace, Joy and Harmony. Fear only deprives one of peace, and all the wonderful things in Life that God has given to us. We must be the Captains of our own ships, so to speak. Control our own emotions and release all fear and let Love flow like a river with no bounds. Help each other by caring and sharing. Remember, ‘what goes around, comes around’ and whatever you think, becomes real. You create your own destiny by your thoughts. Thoughts create and mind builds it. Create the Goodness of God, the Goodness of Life, the Goodness of Love, by thinking in that attitude of Goodness and Godliness. Live while you are living. That is what the Servers of All and The Brotherhood of Light, Space People are trying to teach us. Wouldn’t you like some Super Intelligent people to teach us interplanetary travel in space ships? Would you not like to visit other planets in our Solar System and learn higher technologies to live a simpler, easier life? Life without wars, without suffering, without chaos, without a lack of anything? Dear ones of Earth, this is at hand. All of it. But first, we must be preparing for it. All it takes is to be peaceful and loving and caring and sharing. Maybe that is just too simple for humans to grasp. Remember your thoughts are creating what your mind will build for you. Our Brothers and Sisters of The Brotherhood of Light are intelligent people of Light and Love coming to Earth in and as UNIVERSAL FLYING INTELLIGENCES. UFI’s not UFO’s.